At the invitation of religious groups in Myanmar, IGE started its work there in 2012, just as the country’s political transition was taking place. Since then, IGE has held a series of groundbreaking conferences and training programs that have highlighted challenges and opportunities in Myanmar’s governance, rule of law, and relations between the country’s diverse religious and ethnic communities. In 2015 and 2017 respectively, IGE held two “Religion & Rule of Law” training programs. 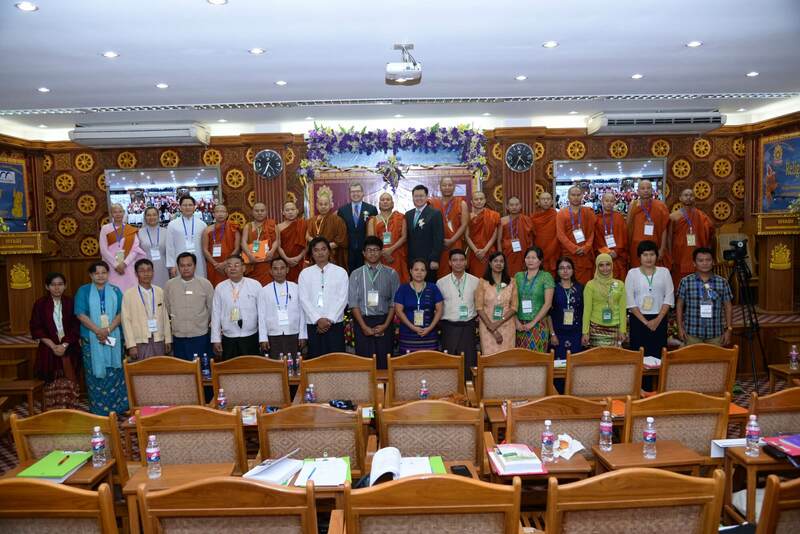 The programs were carefully designed with input from both international and Myanmar experts to explore the building blocks of good governance and sustainable peace in a multifaith and multiethnic context. The programs also equipped participants with critical knowledge of global comparative approaches to religious freedom and rule of law. In 2013, IGE convened an international conference on religion, security, and co-existence in Yangon in partnership with the Sitagu International Buddhist Association. IGE also brought a multifaith delegation from South, Southeast, and Central Asia to participate. In 2015, IGE held its flagship Religion & Rule of Law Training Program in Yangon. The program convened Buddhist, Christian, Muslim, and Hindu leaders and academics, the first of its kind to be held in the country. 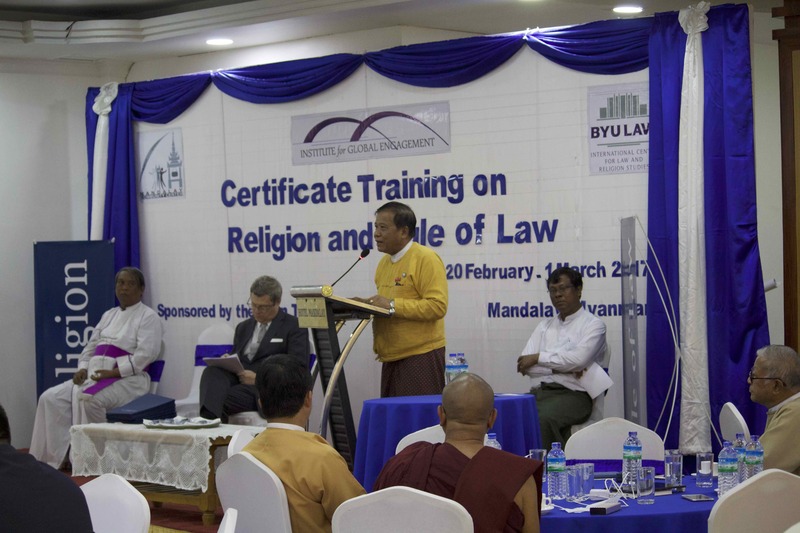 In 2017, IGE held the second Religion & Rule of Law Training in Mandalay, the religious capital of Myanmar. The program brought together leaders from the major faith communities in the region to learn about religious freedom and rule of law. 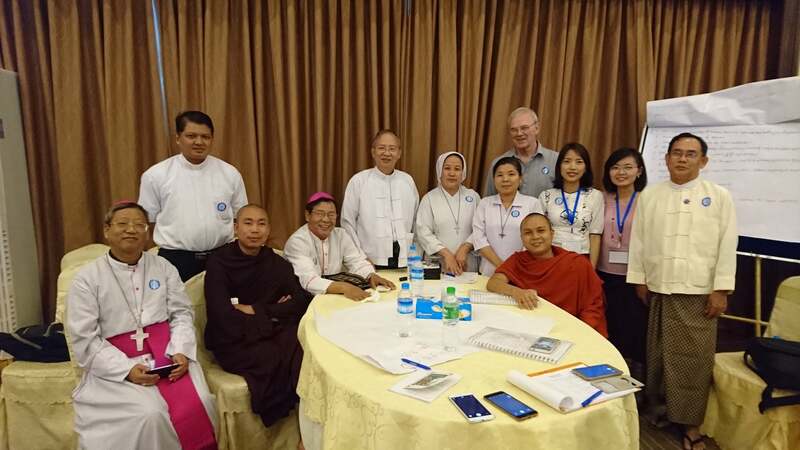 In 2017, IGE was asked to help facilitate a religious peacebuilding conference convened by the Catholic Bishops Conference of Myanmar. Following our Religion & Rule of Law program, local partners expressed their happiness with the feedback from the participants and shared how impressed they were by the international professors. Some people who had doubts leading up to our conference–for fear of an international organization taking advantages of them–began to open their hearts as they experienced how our program was designed based off of their advice and detailed requests, not telling them what to do. The local partners were impressed with IGE’s approach and international experts’ expertise and dedication.